Are YOU keen to be Featured? Are You keen to Guest Post? Have you been Inspired by a Mother or Grandmother who fits this description? Please contact us if you would like to nominate a Mom to be featured. Hi Lauren! I enjoyed reading through your site. It is inspiring for mom’s out there who want to “do more and achieve more” in life! I am a mother to an almost 4 year old daughter, and I have been recently getting into the “Mompreneur” lifestyle. 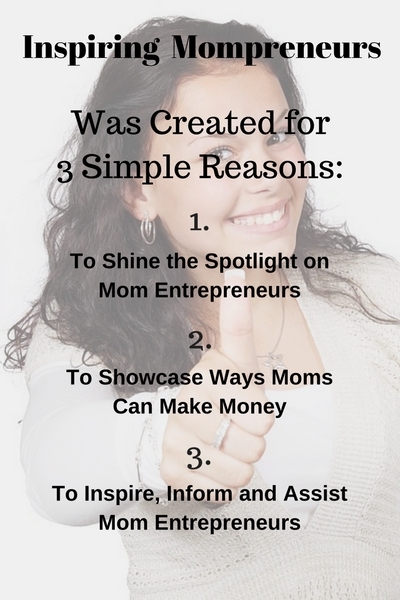 I am thirsty for learning how these other mom’s have done it! I like the way you went through each category talking about the different inventor mom’s. It makes the experience more personal and feels more achievable. Thanks for your lovely words, Ashlie. My son is almost 4 too. When is your daughter’s birthday? Love your site! So positive, fresh and full of energy! I like that there is now a formal definition of a Mompreneur, though as one of them I wonder about being able to ‘balance’ business and motherhood – it frequently feels more like teetering on the edge of a cliff as I juggle all the competing demands!! What a great collection of Mom (and Gran) preneurs you have – some truly inspirational women. They’re just what we need to read on those tough days. Maybe you could include recommendations of some motivational books about achieving work/life balance, life hacks for women, etc? I find you website intriguing. I believe that moms everywhere are under appreciated for all that they do. Plus, I find that mom’s have a disadvantage because they dedicate their lives to caring for children and family and what happens if there is no partner to assist, that can happen for so many reasons. It’s awesome to have a website dedicated to assisting moms become entrepreneurs so that they can more easily sustain themselves, either by contributing income to a two income family, supporting themselves as single moms or as earners for hybrid blended families that come in all shapes and sizes. On a personal note, I had a family member, a mom, who divorced recently, she really had to scramble to figure out what to do, because she took care of things while her husband at the time spent long hours in college and then working. In the divorce, she did not get to keep half the college education and professional work experience. When a mom can be a mompreneur, she will at least be able to rest easier knowing that she will be able to provide a home to live in and the basic necessities of life. Thank you for your website. I’ll bookmark it and share it with her. Thanks so much for your wonderful, thoughtful comments, Sophie. How sweet of you to share it. Much appreciated. I read Inspiration for Single Moms. What an amazing story and an inspiration to other single mom’s out there. I really enjoyed reading this post and in the future will certainly come back and read more. I like the way you have laid out the website and the topics you have chosen for your posts. Excellent site. Thank you so much Teresa. I’m delighted you feel inspired by Sonia’s post.